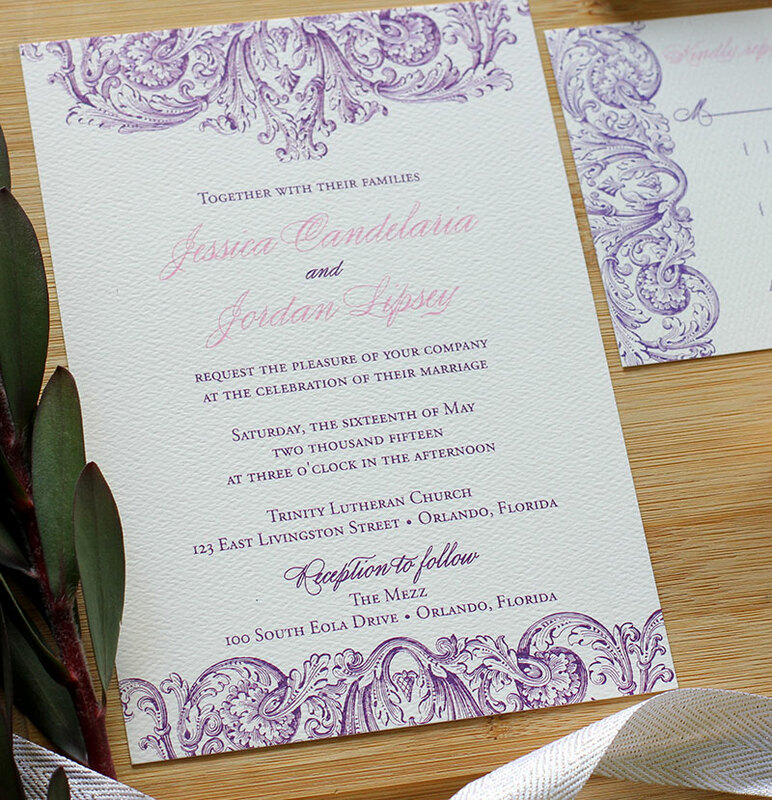 Working on this gorgeous pink & purple wedding invitation suite design was such a joy for me. This sweet bride, Jessica, was actually our little boy's nanny 3 years ago. 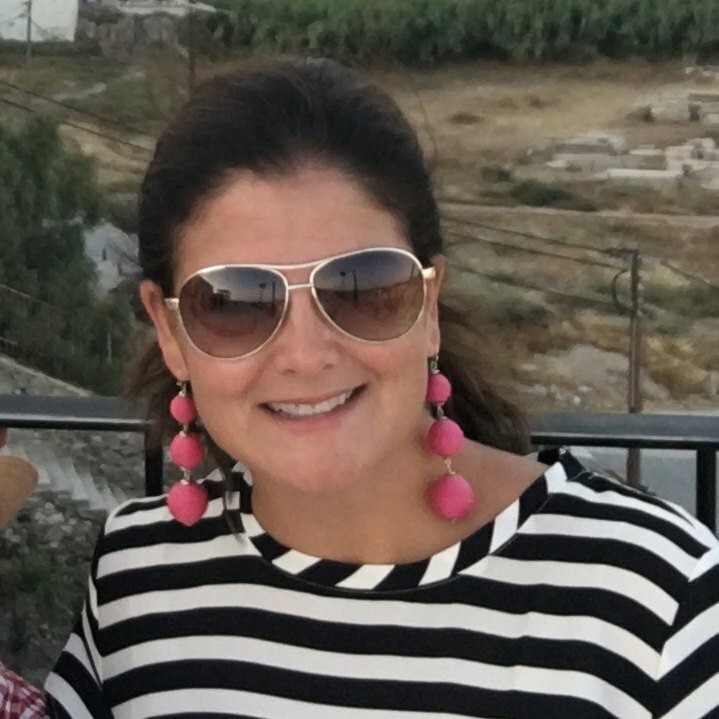 We absolutely adored her and I felt so honored when she contacted me to let me know she was engaged and would like Blush Paperie to create her wedding invitations for her and her fiance. 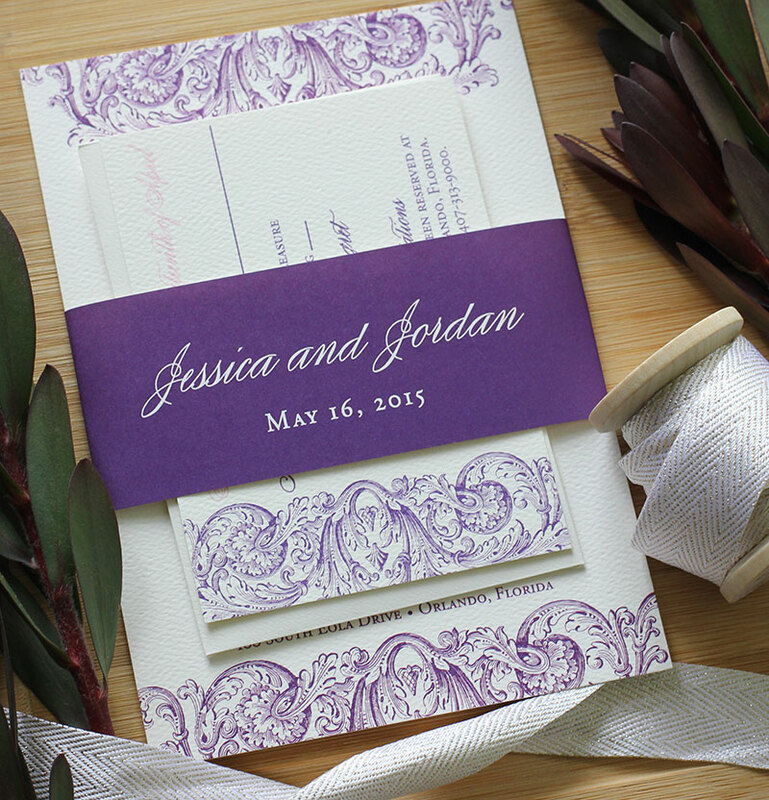 Jessica & Jordan picked our super romantic plume wedding invitation design. 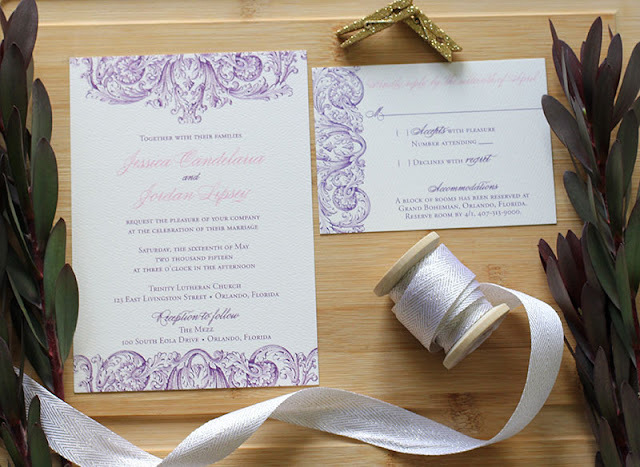 We used a super soft pink and a regal purple printed on our soft felt ecru stock. All of our digitally printed designs come with a belly band to wrap around the suite and keep everything packaged perfectly.